At risk of wearing out the ‘c’ key on my keyboard, today we’re introducing a new element to the BlockSparks ecosystem: The Crypto Confidence Community. 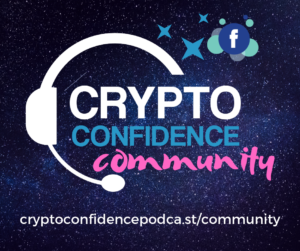 Following the growth of the Crypto Confidence podcast, we’ve been aware of a growing need for a ‘safe place’ for people to learn about crypto and blockchain in a really transparent and supportive environment. To help each other and learn from one another’s experiences, and be able to ask anything at all. So in addition to our Facebook Pages for BlockSparks and the Podcast, we’ve created a new Facebook group – choosing a group structure so that everyone can discuss and interact as individuals, instead of the top-down broadcasting structure that a Page works with. There are of course many forums and groups and places people talk about crypto, but we’ve often found them to difficult get started with for various reasons. Some are very technical, diving into complex discussions without laying any foundations. These can exclude people who are less confident in their knowledge and wary of making mistakes, and also make people nervous about asking questions – when asking questions (and getting considered and helpful answers from a range of sources) is often the best way to learn. There are also lots of places crypto is discussed which are frankly not pleasant to hang out in, due to impenetrable norms and etiquette, or cultures of abuse and misogyny, which perpetuate the kind of exclusion and unpleasantness we hate. Often defended from a libertarian ‘free speech’ perspective, we’ve never found those kind of places good for learning, nor for supporting wider adoption of crypto for everyone. We stand by our strapline from the podcast, that ‘this stuff is far too exciting to be left to the geeks’ – which means that an accessible and welcoming place is needed instead, at least to learn the basics, and gain the confidence to do your own research at arms length in the messier realms of the so-called social web. Other crypto-focussed spaces are poorly ‘gate-keeped’ in terms of what people share, leaving members wide open to the possibility of anything from poor-quality advice and accidental misinformation, to outright scams. In crypto, the line between the two is not always obvious – when so many projects are overly ambitious and very reliant on creating marketing information to attract the users by which they live or die, the idea of neutral advice is pretty hard to define – because it’s not often obvious who is being paid to create and promote it. At BlockSparks we represent a number of projects, on whose behalf we write about why they are fantastic and you should get on board – that’s our job, it’s how we earn the money to create the Crypto Confidence podcast and the new Community, apart from anything else. Of course, we do our own due diligence when working with clients and you’ll never see or hear about the ones we decline, but when we create content on behalf of a customer then it will be from a particular perspective. What we promise you within the community, just as with the podcast, is that we’ll disclose the commercial relationship: We’ll tell you right up front if we have a professional relationship with a project or business we’re talking about – and invite you always to do your own research, as you decide whether or not you want to learn more or get involved. In addition to our own content we want to share with you a range of great materials which have inspired and educated us, and helped us to understand new concepts and learn new things – from the big picture, social impact blockchain themes, down to the ‘how to’ stuff which matters. And we’ll encourage all members of the community to share things as well, and ask questions – help us curate resources which will really help people to understand what they need to about everything, from buying your first bit of crypto to understanding how blockchain technologies are disrupting industries from supply chain to fine arts. And we’ll be looking at some related bigger themes too, such as the ethics of personal data and privacy, and how blockchain could change everything about how we manage and share our very identities (yes, we’re doing this in a Facebook community, with complete awareness of the ironies involved in that… because one powerful concept we’ll explore in an upcoming post is the ‘network effect’ – essentially, you need to go to where people are already. Also we’ll be in the right place to keep you up-to-date with the world’s largest social network’s plans for Facecoin or Zuckbucks or whatever they’re secretly building). 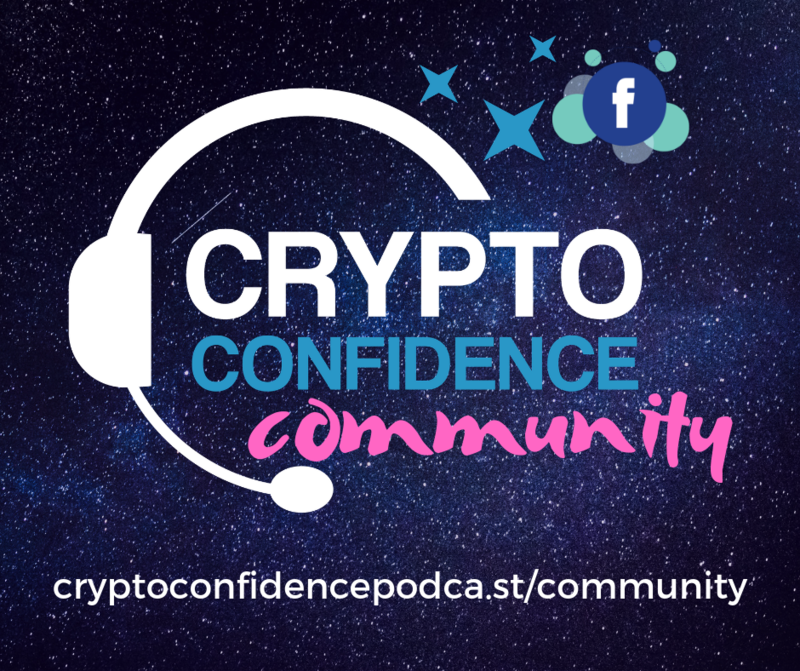 So what are you waiting for, come and join us in the Crypto Confidence Community!